I recently finished my 7th module towards the Diploma in Technical Hand Embroidery at the RSN. As expected, the pieces are becoming more and more complicated to execute. This time, my technique was Advanced Goldwork. Amping it up for the "advanced" part was using more difficult threads and more precise techniques. As I have moved through this program, I have decided to increase the artistic challenges on these pieces. In these pieces, I am trying to do more and more original design rather than interpreting a photograph or drawing. This time, I decided to play with moving into abstract interpretation. I took a form, interpreted its skeleton and let the gold take over. 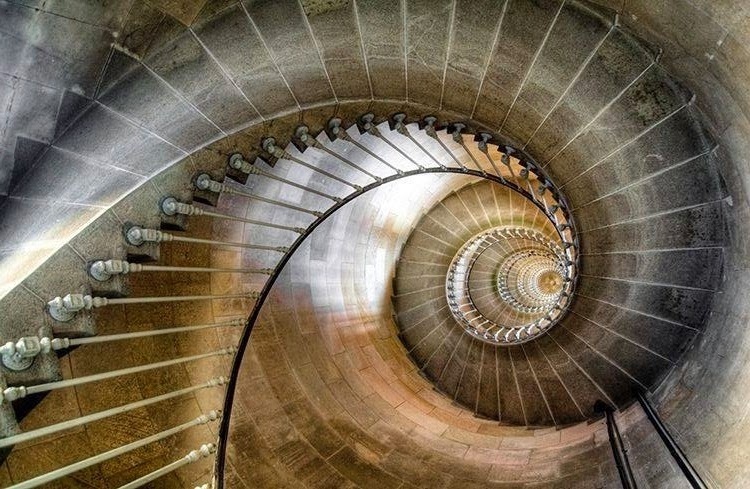 a spiral staircase in a tower. Even though it is a hard structure made of stone, there is something very organic about this shot. I love the movement and depth that it conveys as well as the feeling of taking a journey. I think I captured the movement and journey of the piece ... as well as definitely going to the abstract. I certainly wasn't literal!! I am excited to announce the launch of my new website! You can find information about my upcoming classes and events, learn how to hire me for commissions, and browse through my Gallery to see examples of my work. Soon you will also be able to purchase kits and hard-to-find supplies in my online Shop. Check it out at http://www.atthispointstudio.com/ and let me know what you think. Michele King, owner of At This Point Embroidery Studio, is a lifelong needleworker and has the stash of fabrics and threads to prove it. A native Texan and Longhorn, she has lived in Central Houston for the last 20 years with her husband and three children. Michele’s training began in childhood in multiple modalities of needlework, including embroidery, quilting, knitting and crochet. 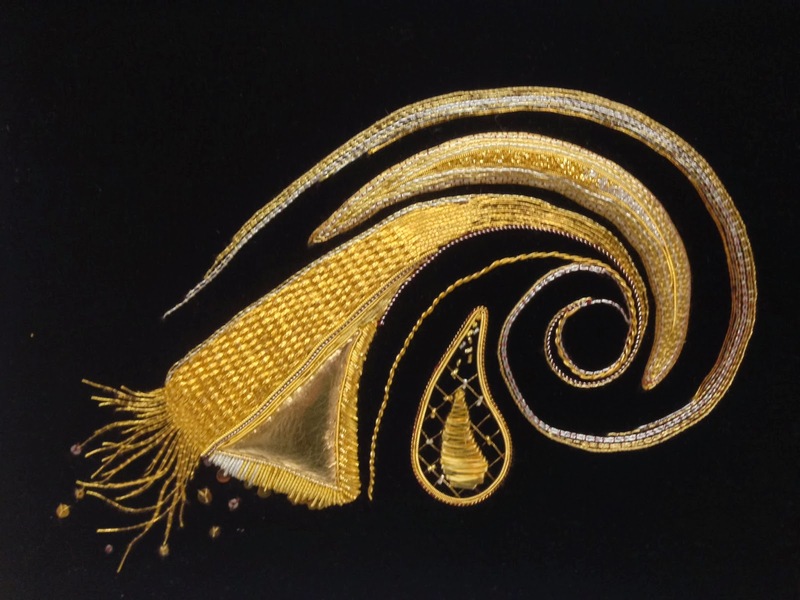 Michele formally trained with The Royal School of Needlework, completing her Certificate in Technical Hand Embroidery in 2011. She is continuing her studies by pursuing a Diploma in Technical Hand Embroidery as well as pursuing certification in Japanese Embroidery. Her work has appeared in national and international publications as well as exhibits around the United States. Known for her quirky and irreverent humor, Michele has dedicated her life to the art of needlework through designing, teaching and writing. © 2013 At This Point Embroidery. Simple theme. Powered by Blogger.